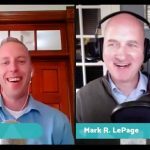 The EntreArchitect community is growing larger and more powerful every day, and this podcast has seen the results. The EntreArchiect podcast is now being downloaded more than 30,000 times per month. The progress we’re making is no doubt directly related to you, the EntreArchitect Community. Episode 200 is the final episode of 2017 and there are so many great things coming in 2018. Focus on the things you have control over. There are only a handful of things that we have direct influence over. Work to ensure that you maximize your impact on the things that matter most. If you adopt these three words as your mantra – Love, Learn, and Share what you know – next year will certainly be your best year yet. 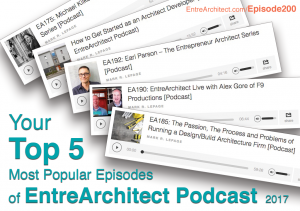 This week at EntreArchitect Podcast, the Top 5 Most Popular Episodes for EntreArchitect Podcast in 2017. Michael Kilkelly is a principal at Space Command, an architecture and consulting firm in Middletown, Connecticut. He’s also the founder of ArchSmarter.com, a website dedicated to helping architects work smarter not harder. Michael has received his bachelor of architecture from Norwich University and his masters of science, design and computation from MIT. Previously he was an associate at Gehry Partners in LA where he worked on several high profile design projects including New York by Gehry and the Guggenheim. 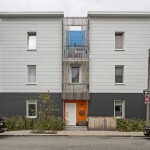 He writes regularly about architecture on ArchSmarter, Arch Daily and Architect Magazine. Connect with Michael online at ArchSmarter.com or email him at michael@archsmarter.com. You can also find him on LinkedIn, Twitter, and YouTube. Want to be a guest on The Entrepreneur Architect podcast series? 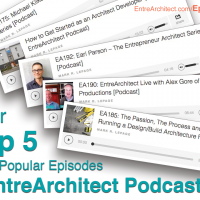 Connect with us on any social media platform or email podcast@entrearchitect.com! Declan Keefe of Placetailor returns to shares his knowledge about How to Get Started as an Architect Developer. Placetailor is an architecture firm that provides architecture services, construction services, and real estate development. They look at architecture as the genesis of ideas, and wanted to figure out how they were going to take control over the revenue and profit side of the business. 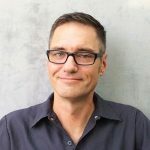 Earl Parson is an architect based in Los Angeles, California practicing residential architecture as Parson Architecture and is the founder of CleverModerns.com, an online platform empowering DIY owner-builders with plans and coaching. Connect with Earl online at Parson.Architecture.com and CleverModerns.com. Follow him on Facebook, Instagram and Twitter. This week, Mark held his first live interview using Facebook live. Alex Gore from F9 Productions discussed his work with Daniel Libeskind, his firm in Longmont, Colorado, his podcast, Inside The Firm, sharing the behind-the-scenes with his partner, Lance Cayko, and his book The Creativity Code. Connect with Alex online at F9Productions.com or email him at akg@f9productions.com. Visit him online on Instagram, Facebook, and Twitter. Do you want more control? More money? More happy clients? More architecture with better design? 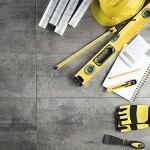 Is design/build the answer to our professions problems? Will building your own projects be the solution to success for your small firm? What does it take to run a successful design build firm? Jim Zack is based in San Francisco, California as the co-founder and partner at his design build firm, Zack de Vito: Design + Build. 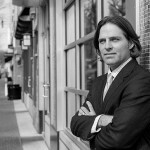 He’s a current facilitator at EntreArchitect Academy’s Design/Build Mastermind Group. Declan Keefe is a founder and owner at Placetailor and a three-time guest at EntreArchitect Podcast. Connect with Jim Zack online at ZackdeVito.com or on Facebook. Thank you for being a part of EntreArchitect!